Now that we are in the final days leading up to the Denver Beers Made By Walking Festival, we continue our series of sneak peeks at the breweries and beers you will get to enjoy on Friday. This particular preview looks at the hikes taken earlier this summer that inspired beers from Boulder Beer Company and West Flanders Brewing Company. Both beers were inspired by the areas surrounding the City of Boulder. 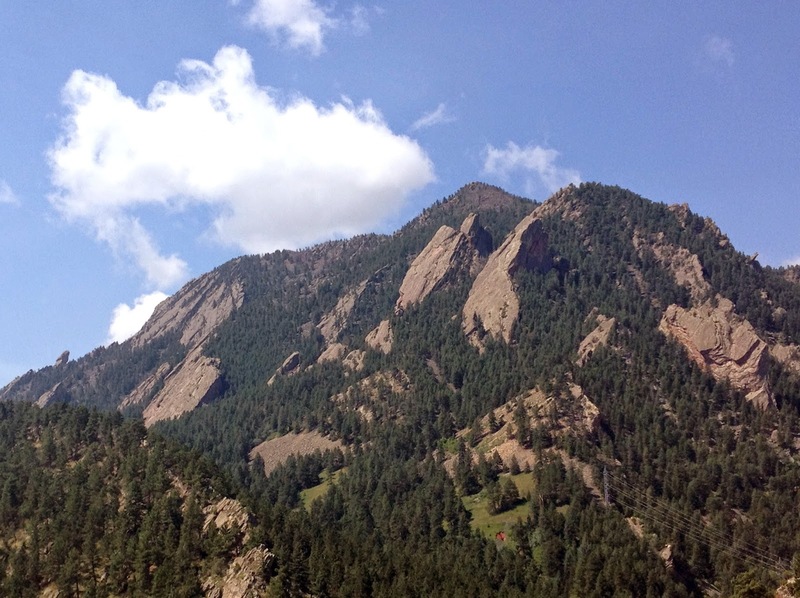 Boulder Beer drew their inspiration from the Walter Orr Roberts Trail, starting their hike at the National Center for Atmospheric Research (NCAR). The hike took place in mid-July and was abundant with natural diversity, including a woodland area, a riparian zone, and beautiful views of the high plains and Flatirons. Doug Hill, Founder/Head Instructor at Gone Feral and a Volunteer Naturalist with the City of Boulder Open Space and Mountain Parks, led the hike. The trek was especially focused on herbs and plant life that can be used for brewing, teas, tinctures and medicinal purposes. The ingredients used in their beer all have unique healing properties. The end result was a Spikeberry Saison that uses dried elderberries, dried yarrow flower, prickly pear syrup, and home grown hops for a light and refreshing beer that truly captures the essence of a warm summer day! The story behind the West Flanders beer is very unique. They took a hike along South Boulder Creek, where there was immense flood damage last year. On their journey, the brewers were able to see just how strong of a force Nature can be, and how great the land is at recovering. Along the banks of the creek, they saw many uprooted trees, rocks, and debris, but in addition to these ruins was an abundance of fruit thanks to all the moisture Colorado has received this year. West Flanders' hike led them to an old homestead property that had plenty of fruit and hops growing in the orchard. The old stone farmhouse sitting on the property inspired the style, while the wealth of chokecherries in the orchard inspired the flavor. Look for the Post Apocalyptic Choke Cherry Farmhouse Ale on Friday! We are excited to try these drinkable portraits of the Boulder area at the Beers Made By Walking Festival in Denver. This event will take place this Friday, October 3rd and will feature 40 beers from over 30 breweries. Tickets are $40 and include special glassware and unlimited access to all of the beers pouring. More information, including a list of all participating breweries, is here. We look forward to seeing you there!